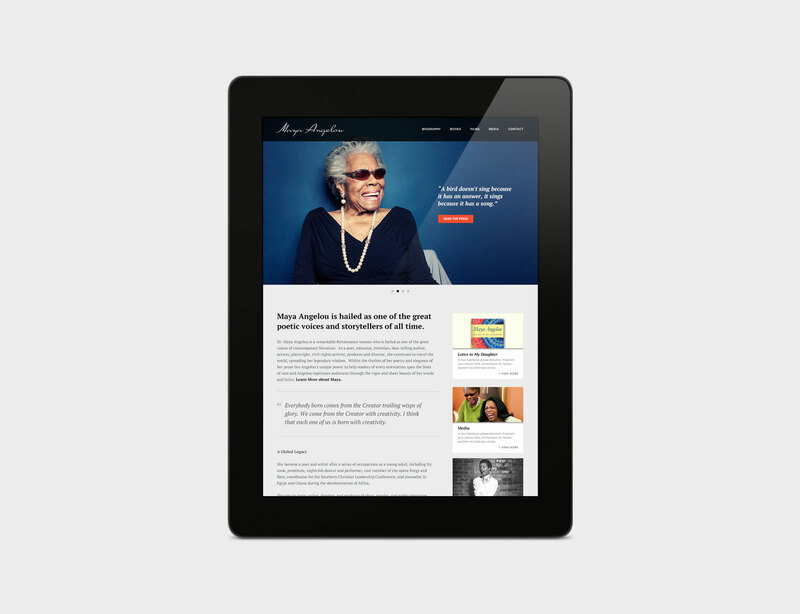 We were honored to develop a digital brand strategy for world-renowned poet, author, activist and renaissance woman, Dr. Maya Angelou. 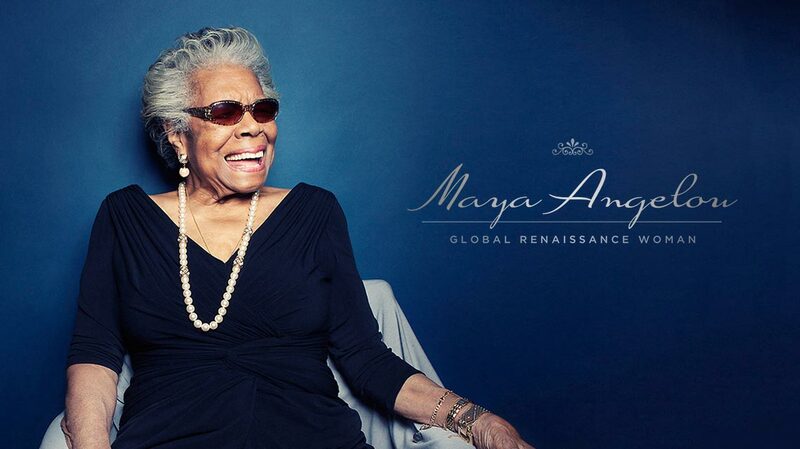 The site gave Dr. Angelou a predominant web presence and successfully chronicled her historic career. 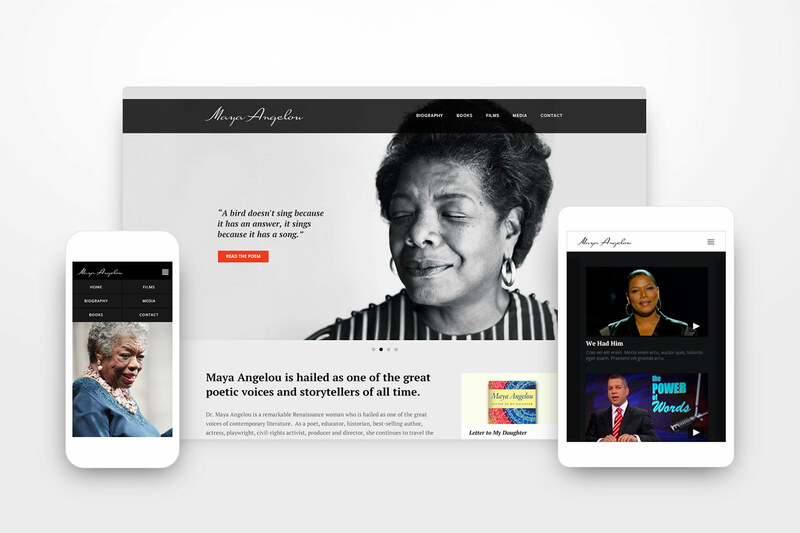 As digital curators for Dr. Angelou’s brand, we were tasked with creating a space that would preserve her legacy online and communicate her story to a wide audience. The website was the cornerstone of Dr. Angelou’s digital revitalization, opening up her brand to her adoring fans and an entirely new generation. 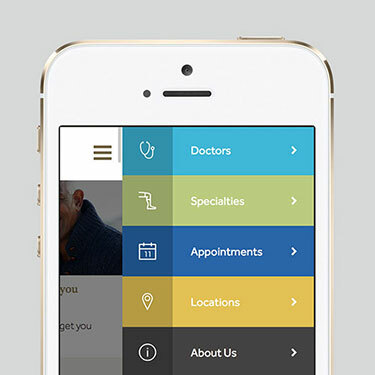 Along with the re-launch, a new brand identity system was developed to reflect an elegant, distinguished style Dr. Angelou was known for. 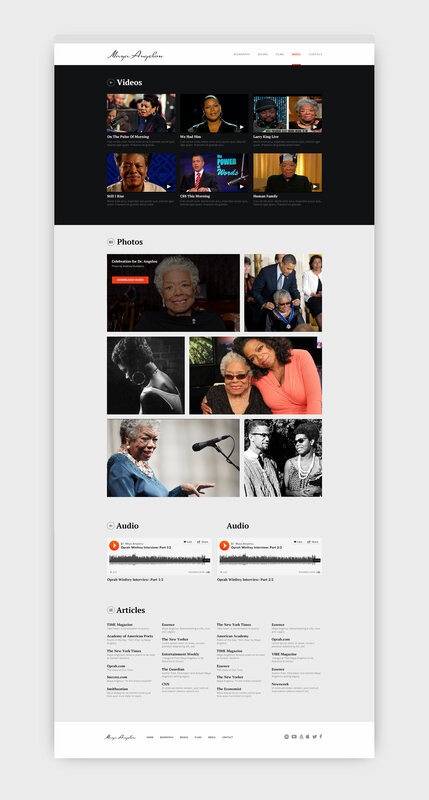 After the launch, the site witnessed explosive growth and became the preeminent location online to find information, news and media on Dr. Angelou.